Stuart Ntlathi is just 22. But for nine years already, since the tender age of 13, he’s been rallying other youngsters to get them excited about science and technology in a country where these subjects are not highly revered. Ntlathi, who heads up the Stuart Ntlathi Science, Engineering & Technology Institute, is no ordinary young man. 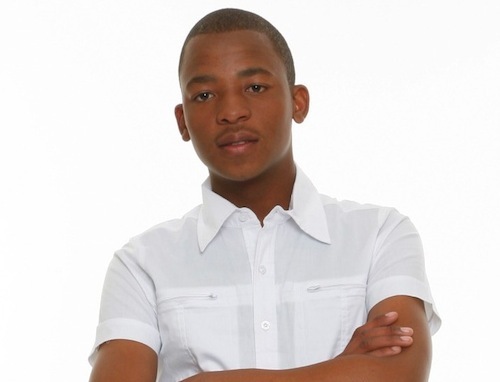 He grew up in a township outside the rural farming town of Klerksdorp in North-West. But from these disadvantaged roots, he is on a mission to change the way South Africans, especially school kids, think about science and technology. And he believes government needs to rethink the school curricula for these subjects. Teachers, who are often not adequately trained themselves, are not conveying the subjects in ways that build interest and excitement among pupils. Ntlathi’s institute runs an annual event, the Global Science, Engineering and Technology Summit, at which top pupils from around the country engage. The summit, which takes place in Klerksdorp, is a week-long science and technology fair where kids work on projects together, attend workshops and participate in discussions. At this year’s summit, which took place last week, 100 of the country’s top school pupils — 3 000 had submitted essays hoping to make the cut — built and launched their own rockets. “If you want kids to enjoy what they’re doing, you have to put a bit of fun into it,” Ntlathi says. Ntlathi says it hasn’t been an easy ride for him, not least because of resistance from within his own community to his passion for science. At his former high school, the Arefadimeheng Secondary School, some of his teachers tried to dissuade him from pursuing his interest in science. “It’s kind of viewed as a no-go area for black people,” he says. Ntlathi’s institute has its roots in a science club he started with a mate from school back in 2000. Its members would meet in the afternoons, after school, to chat about science-related subjects and to work on projects together. Ntlathi has strong views on why the SA schooling system is dysfunctional, especially when it comes to science and technology. The curriculum needs to be much more interactive, and less textbook-based, he says. He says SA would do well to visit places like Australia and Taiwan and learn from those countries’ practical approach to teaching science and technology subjects at school level. Ntlathi hopes his institute, and the projects it runs, will help drive that interest. Now he hopes to expand the institute, which already has 14 full-time employees, and create a building — he calls it the “Infinite Park” — where youngsters interested in science and technology can congregate, share ideas and work on projects. He’s already got the designs for the building, which he hopes will become a “home for aspiring scientists, engineers and technologists”. The institute has attracted funding from government, and a number of corporate donors. However, no companies in SA’s technology industry have stumped up any cash yet. Wow…..This guy is impressive indeed! These are sort of dreamers we need in Soweto in order to create Silicon Soweto. “…step aside to let someone younger take the reins.” hehehe nice!